In 2008, the SWANA Applied Research Foundation conducted a benchmarking project to develop and analyze solid waste landfill performance data. SWANA surveyed 61 municipal solid waste (MSW) landfills to collect performance and cost benchmarking data. The goal was to standardize benchmark parameters and protocols to facilitate fair comparisons among the benchmarked landfills. As a result, the SWANA MSW Landfill Benchmarks Database is positioned to become the industry reference for MSW landfill owners and managers across the United States and Canada. In fact, Re-TRAC Connect's Facility Reporting solution may well benefit from this valuable landfill benchmarking data. Identify and implement best practices that will enable them to reduce costs and improve services. 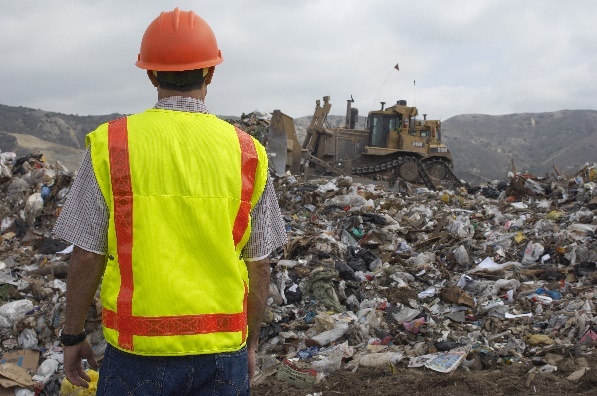 Benchmarking has been recognized as an essential practice for MSW landfill operations, leading SWANA’s Applied Research Foundation (ARF) to publish a report in 2008 entitled Benchmarking the Performance and Costs of MSW Landfills. In 2017, ARF’s Disposal Group identified the need for an updated version of the 2008 ARF report to be developed. This article presents some highlights from the updated report, which was prepared by SWANA ARF staff with input and guidance provided by the ARF Disposal Group Subscribers. 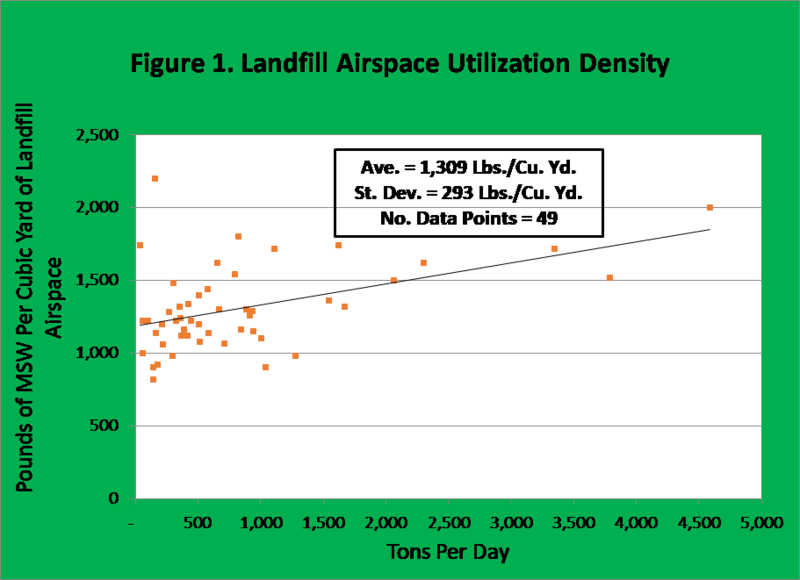 One of the primary parameters used to measure landfill performance is Airspace Utilization Density (AUD). AUD is determined by dividing the weight of the waste landfilled by the volume of the total airspace utilized—that is, the volume of airspace occupied by the landfilled waste as well as cover materials, materials used for temporary roads, and other materials used in constructing the landfill. Landfill managers can improve their AUDs by using less cover soils and/or removable cover systems such as artificial tarps. They can also stockpile cover materials on areas with interim closures. Finally, they can encourage biodegradation through leachate recirculation. 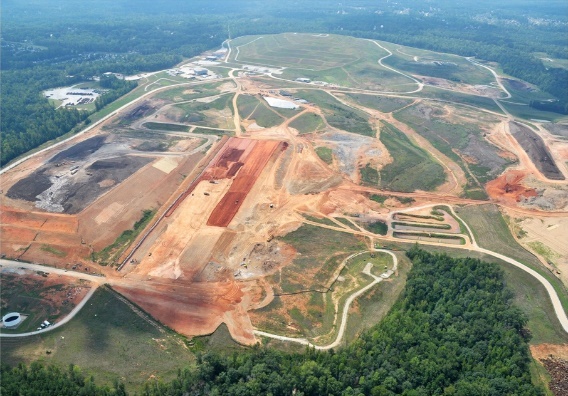 Over the last ten years, the SWANA MSW Landfill Benchmarks Database has transitioned from concept to reality. SWANA sincerely appreciates the vision and commitment of the ARF Disposal Group Subscribers who have worked diligently to make this database a reality. SWANA is committed to growing and expanding this database in future years. The SWANA Applied Research Foundation was founded in 2001 with the purpose of conducting collectively-defined and funded applied research on pressing solid waste issues. It is funded by local governments and other organizations that contribute a “penny per ton” of waste managed to the Foundation on an annual basis.